So, it's the end of a long weekend for most Americans, and you know what that means: It's time to get sappy. So, for today's playlist, I put together some of my very favorite sweet love songs. I had hoped to make a playlist with all male singers, but unfortunately I couldn't find enough by men that said that kinds of things I wanted to hear. Ain't that always the way? Don't answer that. It is, and you know it. So, make fun of me if you want, but you know you secretly love these songs, too. Or at least you will after you've listened to it and cried yourself to sleep a few times. Don't worry. I know what you're doing over there. 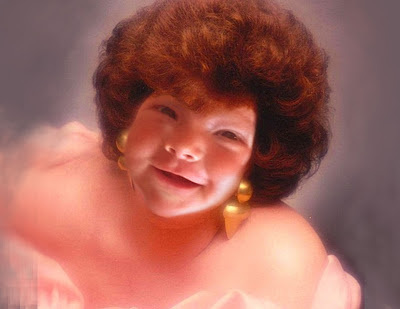 ....and yes, that's a baby's face photoshopped onto a glamour shot. You're welcome.